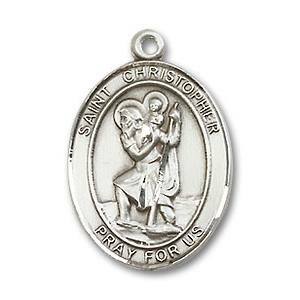 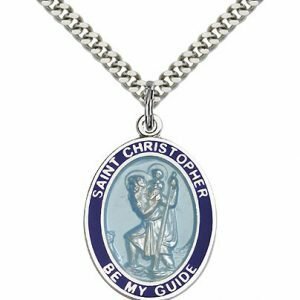 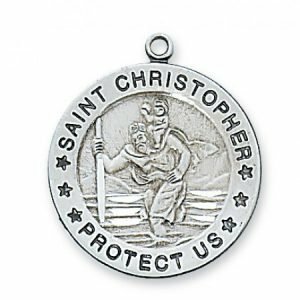 This extra large Sterling Silver Saint Christopher medal includes a 24 in. 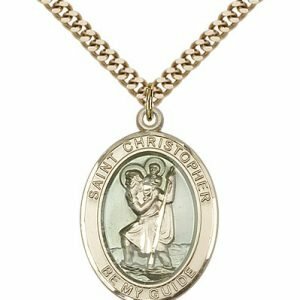 Stainless Chain and a Deluxe Gift Box. 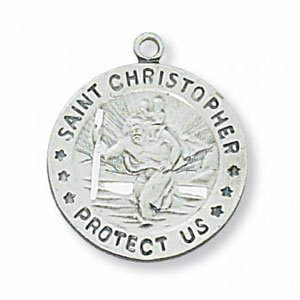 Medal measures 1 1/2″ x 3’4″. 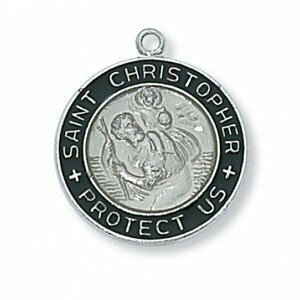 Patron Saint Medals are great Catholic Gifts for a variety of occasions. 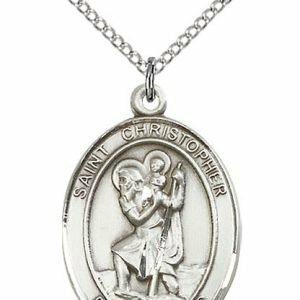 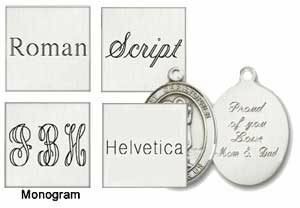 They are among the top Confirmation Gifts but also have a place as a First Communion Gift or a RCIA Gift. 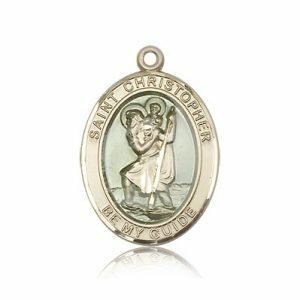 Sacramental events are among the most popular times to give the gift of a patron saint medal, but often times because patron saints cover a wide variety of different life situations and vocational endeavors, they make great gifts at other times too. 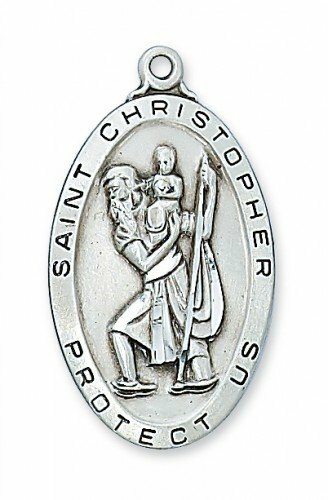 Saint Christopher is the patron saint of travelers.